Problems are unavoidable in our day to day life but you can avoid being trapped by it. Resolve your issues, be it related to finance, romance, career or health or any other area of life, through the Astrologer Prescribed Remedy program. We have specific remedies to attack your problem. 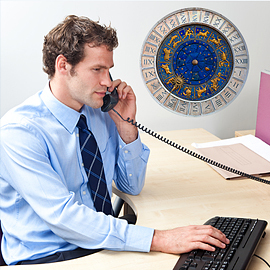 If you are serious about solving issues related to your finance, romance, career or health or any other area of life, ask our astrologers to prescribe remedies for you! They will analyze the aspects of your chart, and prescribe appropriate astrological remedies. There are specific remedies that will help you solve your problems. You can expect the remedy information in about 7 - 10 working days. Please include your birth date information and your partner's too, before you order for this service! The reason you've been getting such horrible personal problems and the solution to it! 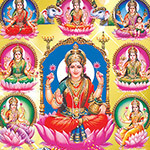 Ashtalakshmi refers to the 8 divine forms of the Lakshmi, the supreme Goddess of wealth, fertility and fortune. Lakshmi is the divine consort of the supreme God of protection, Vishnu and the compassionate universal mother. She remains as an embodiment of prosperity and auspiciousness, while her name Lakshmi itself is said to symbolize the understanding of the real purpose of our existence. Ayush Homa is performed to invoke the blessings of the archetype Ayur Devata, who can bestow you with longevity, good health, and grant relief from mental trauma. The ritual is recommended for those who are suffering from severe health ailments. 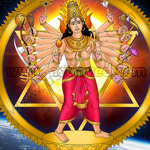 Jupiter is considered to be the teacher of the mankind who governs religion and spiritualism. It has been proven astrologically that Jupiter is the planet of “Success”. Jupiter is the other term for excellence; he is the teacher, the priest, and the crusader of life. Lord Jupiter represents the higher mind, the vision of truth, optimism, indulgence, wisdom, and desire. 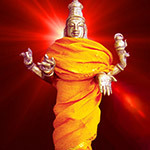 Sudarshana Homa- This effective Fire Lab can help you to overcome your enemies and to relieve you from inexplicable sufferings and worries. It can also help stop unforeseen dangers and perils from your pathway of success.